Gorgeous apartment in a gorgeous location. Would use AB again. 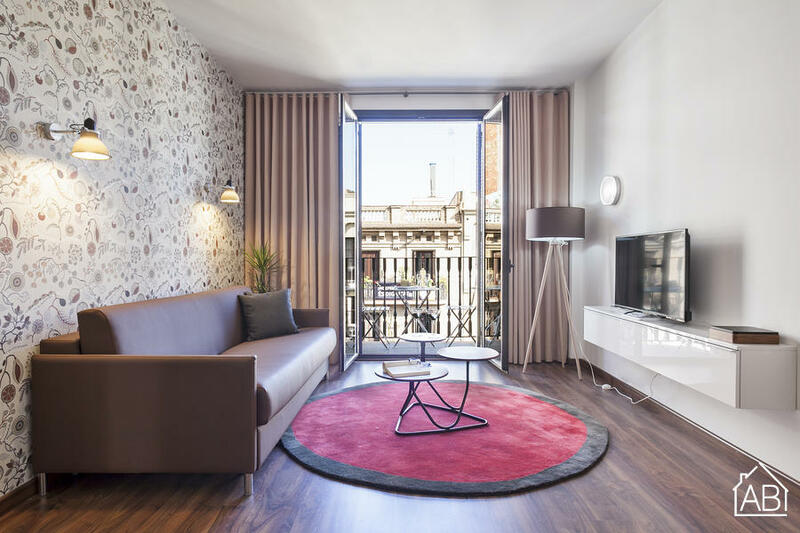 Situated just 700 metres from the famous Passeig de Gràcia, this luxury apartment offers a balcony and air conditioning. It faces outwards to the street and is located just 200 metres from Girona metro station. The apartment sleeps up to 6 people across two bedrooms with a double bed and two single beds, as well as a double sofa-bed in the living area The apartment has a beautiful living room with a sofa, flat screen TV and a dining table, complete with chairs. There is also an elegant kitchen area and two modern bathrooms. Gaudí’s Sagrada Família is just a 15-minute walk from the apartment, and the Arc de Triomf is just a 10-minute walk. The trendy neighbourhood of Gràcia is less than a 10-minute walk from the apartment and the beach is just 4 stops away on the metro. Eixample is a great choice for those interested in landmarks, architecture, local culture, and city stays. Please note: There is a parking space available for this building, subject to availability. Please contact us to reserve it in advance. Basic cleaning service every 4 days.